Today we shall get to grips with a character of epic proportions, one of the originators of Latin literature… the one and only, Ennius. Of course Ennius can make no boast to being the father, or even a close relation, of epic poetry. Homer and Hesiod’s hands and harps were blotched and notched some 500 years before Ennius was a twinkle in the eye of a wealthy Calabrian. Indeed, he was not even the first epic poet to write in Latin. 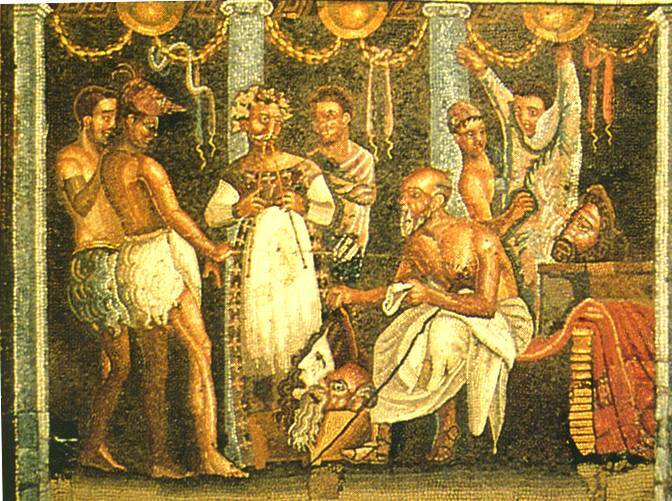 In the third century BC, Livius Andronicus and Naevius both composed weighty blockbusters in verse, the former translating Homer’s Odyssey and the latter giving his own account of the First Punic War. Thus it was not the what, but the how, that gave Ennius his reputation as a noteworthy figure of literary history… upon whose gigantic shoulders men like Virgil would one day stand. Just who was this Ennius fellow? As alluded to above, Quintus Ennius (c.239-169 BC) was born into a wealthy family in Calabria, the ancient ‘heel’ of the Italian boot, in the town of Rudiae, modern day Lecce. N.B. Rather confusingly, the modern ‘toe’ of the Italian boot is now called Calabria and the ‘heel’, Apulia. If any budding young wordsmith of ancient times could have chosen a town in which to be born, he could not have done better than Rudiae. This coastal settlement was open to Italy, Greece and the wider Mediterranean. Having been founded by the Messapians, a people of Illyrian (roughly Albanian) extraction, it was also multi-cultural enough that Latin, Greek and Oscan made up a trilingual society. It is for this reason that Ennius was said (by Aulus Gellius) to have had ‘three hearts’. He certainly had a superior grasp of languages and literature and his talents were recognized by none other than that great old moralizer, Cato the Elder. Cato, a novus homo (a new man i.e. not of an ancient, aristocratic family) himself, plucked Ennius out of the obscurity of his military service on Sardinia. Cato then introduced him into Roman society where he gave lectures on poetry. In his own modest way, Ennius thrived in such surroundings and carved out a niche for himself as a tutor of Greek and Latin to the rich progeny of well-to-do Roman families. It was in such surroundings that he obtained the favor of the powerful Fulvius Nobilior family. They invited him on a military campaign and, in 184 BC, granted him citizenship, a great boon for any Italian. N.B. At this time Rome and Italy, although they enjoyed a symbiotic relationship, were very much separate entities. Roman citizenship was highly desirable. After replacing the sword for the pen, Ennius went on to display not only a prolific output, writing plays for public festivals up until his death, but, more unusually, an outstanding versatility. 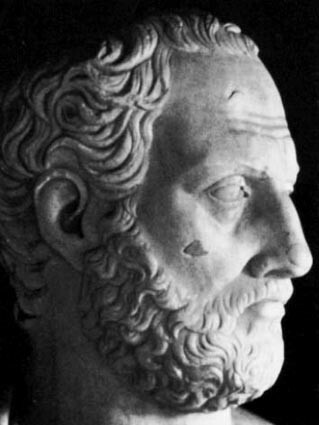 A fecund mind, further fertilized by a constant supply of alcohol (he was said to have died of gout), Ennius produced fabulae palliatae, praetextae fabulae (tragedies dealing with historical and mythological Roman figures), as well as traditional Greek tragedies, many of which were translated from Euripides. 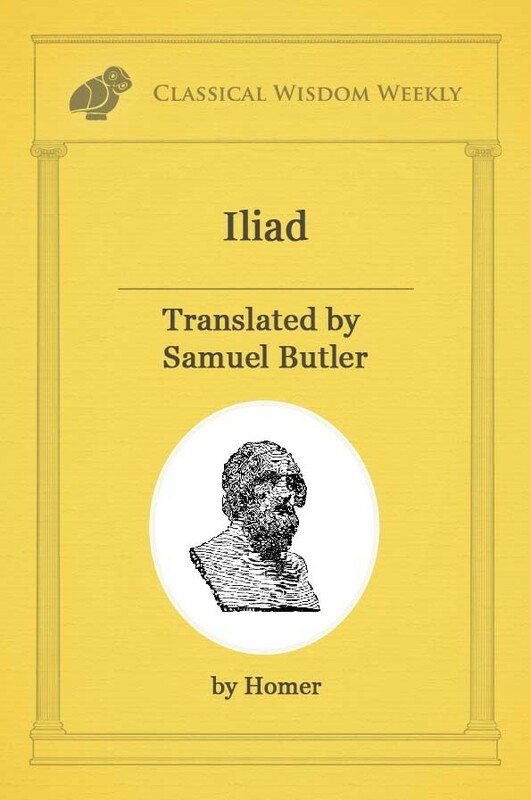 Indeed, he treated the texts of Euripides in much the same manner as Plautus had the works of Menander; copying, editing and annotating with a completely free hand and no assumption of wrongdoing whatsoever. However, it is his epic Annals for which he fame resounds. It was mentioned earlier that he was not the first, nor the first Latin to attempt the genre, so what makes Ennius quite so important vis-à-vis epic? Well, it wasn’t the content either. 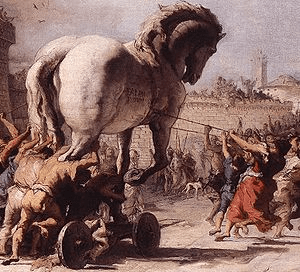 Though it would have certainly gone down well, the history of Rome from the sacking of Troy to the present day (including up to the minute events) was not the factor of greatest importance. In fact, what cemented Ennius in the canon of legendary Latins was his revolutionary use of… metre. “Ennius’ most important contribution was perhaps the hexameter itself, the traditional metre of Greek epic” (P.G. McC. Brown). The previous epics, those of Livius Andronicus and Naevius, employed the Saturnian metre. While more instinctively and traditionally used by Latin poets at the time, the Saturnian metre rendered clumsy, stertorous and generally unsatisfactory verse. The new direction in which Ennius took prosody was no accident or result of a stylistic whim. He consciously unfettered himself from the mode of his predecessors. “To go with his new metre [Ennius] moulded a poetic diction which served as the basis for the style of his successors” (P.G. McC. Brown). And, though materially humble – he was said to have tutored from a small house on the Aventine – he was proud and pompous when it came to his work. Not only does he use book seven of the Annals to mock the rough and ready style of his forebears, but at the beginning of the epic he actually claims to be the reincarnation of Homer! Despite having a strong case of artistic temperament, Ennius’ seminal innovations should not be dismissed or belittled. While only 600 of perhaps 20,000 lines of the Annals remains extant, the quality of the work is such that it is obvious a colossus of ancient literature has slipped through the cracks of time. Indeed, he is perhaps the single greatest loss to the ancient oeuvre that we are currently aware of. 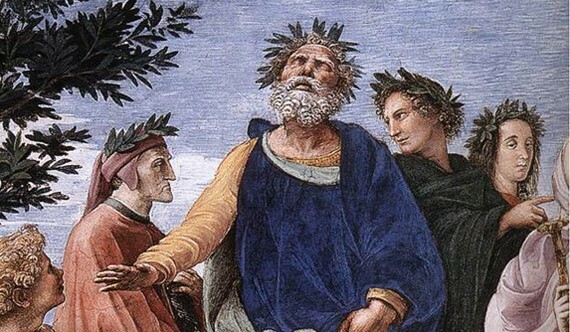 Though we are sure there are works of Aeschylus, Sophocles, Euripides, Aristophanes, and Plautus that are lost to us forever, we are still privileged enough to enjoy their scripts which have survived the passage of time intact. With Ennius, we only have ideas, quotes, tributes, fragments, and dreams of what might have been. On this front we can be consoled by the fact that his style remained in vogue right until BC changed to AD. Consequently Ennius’ guile and gusto influenced the likes of Lucretius, Ovid, Cicero, Catullus, Lucan and, particularly, Virgil. Wisdom is driven out: violence holds sway. Sound speakers scorned, rough soldiers have their day. Do men express their hatred, each to each. They strive to rule, press on with massive might.